All South Lawnscapes success derives from our construction experience and professional design background. Our project coordination and design abilities have provided many property owners, Cities, and Counties with beautiful and functional outdoor living spaces as well as a substantial cost savings. We are committed to providing excellent customer relationships, top quality service and unique design solutions. At All South Lawnscapes, we are committed to providing you with the highest quality of service while preserving the beauty of nature in your property. All South Lawnscapes specializes in custom design and installation, providing you with the highest quality of workmanship, and a reliable staff that will go the extra mile to make sure you are satisfied. We are a professional Landscape Architectural Firm with creative and sustainable landscape design experience. 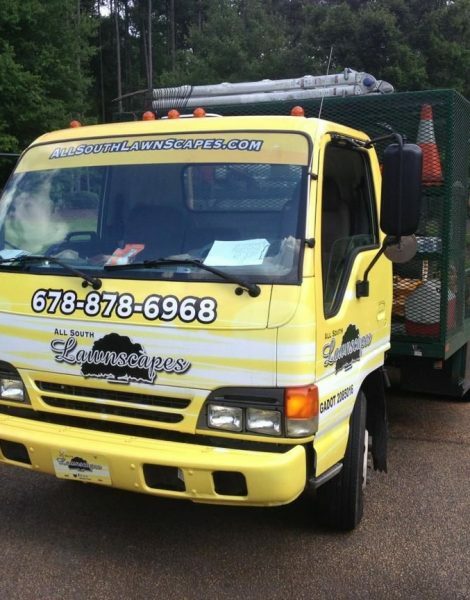 Since 2002 we have serviced the Atlanta Metro area for residential and commercial clients. Call us today for your personalized landscape package or email us to request more information online. At All South Lawnscapes we understand the importance of effective communcation and the value of getting what you pay for. Our services and people are selected to represent our company and their actions reflect our values. We pride ourselves in going the extra mile for our customers no matter what. Our goal is to serve the community to the best of our ability and resolve issues with out hesitation. All South Lawnscapes guarantees customer satisfaction and demands our employees to treat your landscape like their own. All South Lawnscapes values team work! We pride ourselves on our construction experience and our ability to value engineer. We understand that our team makes the difference in your vision coming true. Team work is a priority within all of our landscaping projects. All South Lawnscapes takes cost estimating very seriously. We pride ourselves on our construction experience and our ability to value engineer. We understand that most projects have budget constraints and we use our wealth of estimating experience to provide value engineering whenever it is appropriate. All South Lawnscapes approaches each project with responsiveness. Our goal is to establish a clear line of communication from the very beginning of the project with an introduction to our design team, status updates during the design process, and regular meetings with all parties during the construction phase. We understand that projects evolve during the process and we make certain that our schedule is flexible to accommodate the client’s needs. All South Lawnscapes services not only commercial and residential locations but also industrial, resort and municipal locations, offering our design, installation and maintenance services. 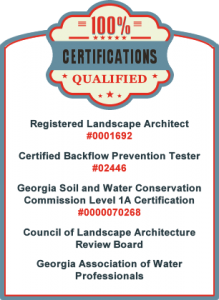 Looking for a Licensed Landscape Architecture? All South Lawnscapes is a locally owned and operated landscaping company in Fayetteville, Georgia. We provide our landscaping services to residents and business located in Fayette, Coweta, Meriweather, Fulton, Clayton, Spalding, Pike, Troup, Heard and Carroll Counties. All South Lawnscapes has been providing landscaping services to the community for over 15 years. Our goal is to provide you with excellent customer service, the highest standard of professionalism, and to see your outdoor paradise visions come true. At All South Lawnscapes we are committed in providing quality service and preserving the beauty of nature in your property. Specializing in custom design and installation.. From initial consultation through the project completion, our mission is to provide the service YOU deserve. Peachtree City, Fayetteville, Tyrone, Senoia, Newnan, Jonesboro, Palmetto, Moreland, Fairburn, Union City, Irondale, Hampton, Hogansville, and Griffin.